There's No Leopard Like SNOW Leopard! 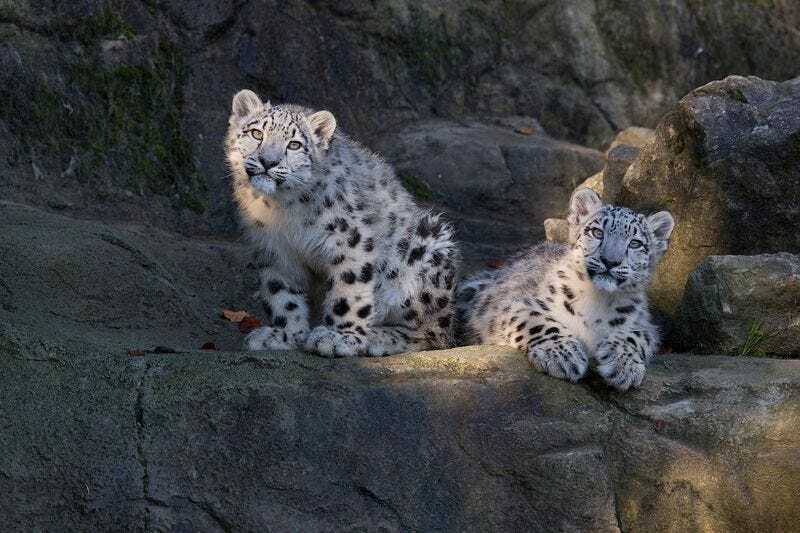 Zoo Zurich has their hands full with these two rambunctious 8-month-old Snow Leopard cubs, Orya and Okara. They are currently on exhibit with their parents, Dshamilja (mom) and Villy (dad). They make me tired (but full of the warm fuzzies) just looking at the pictures. But it is the job of cubs to be rambunctious. I've written about Snow Leopards in my Caturday series. It&apos;s a day late, but I promise you all that it&apos;s worth it! Mom, what is that thing that's looking at us?